Is a CCRC your best senior living option? GET YOUR FREE GUIDE TO LEARN MORE ABOUT YOUR RETIREMENT OPTIONS. There are many choices in senior living—each choice providing benefits that make it attractive. The question is: which choice offers the most important benefits, now and in the future? As a CCRC, Trinity Landing will offer a wide range of options that benefit retirees who are looking to maintain their active, independent lifestyle, while also providing peace of mind that should your health needs change, you have priority access to well-known Trinity Grove right down the road. Simply fill out the short form on this page to receive your FREE information guide, or give us a call at 910-769-9600. 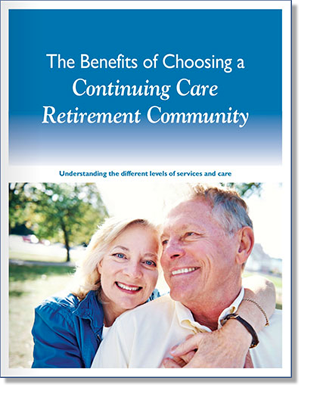 Get your FREE copy of “The Benefits of a CCRC” today!